It is with great pleasure that we announce the online website for Amelia Presents. The physical store is located in Oxford, Mississippi in the heart of the city, but now we can all share in the goodness with their new website. It was love at first sight upon entering the store, Amelia Presents. This is not your average seller of goods, but rather your eyes instantly grab hold of items of perfection. 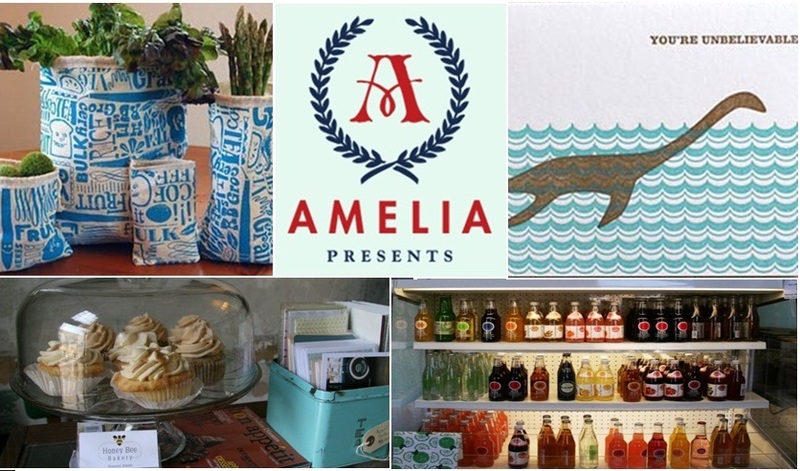 It is the skilled eye of Erin Austen Abbott, owner of Amelia Presents, who not only discovers all of these great treasures, but also merchandizes them so well. You will enter to find jewelry, book covers, ceramics, note cards, and leave absolutely loving the store. On my visit to Amelia Presents I was overwhelmed upon seeing two striking photos of rooftop bee hives. My love for bees and bee hives has been featured here (and here) several times. Upon inquiring about the photos, I was even more impressed to know that Erin Austen Abbott was herself the photographer. With a series of bee hive photos from across the country and world, this is an impressive portfolio. Not to mention, Erin’s work also includes photos of faces, and Americana pieces echoing that of William Eggleston (also from Mississippi) where the subjects are ordinary, but the color and photos are spectacular. I hope you will take your happy fingers and march them over to the Amelia Presents website or visit in Oxford, Mississippi. If you can make the trip in person, don’t forget to grab one of the delicious cupcakes. Congrats Erin! We are so excited for you.